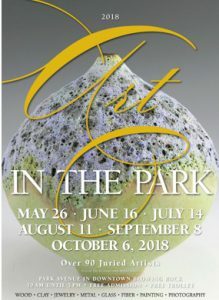 Don’t miss out on Art in the Park! This event offers something for everyone! Summer is right around the corner and Blowing Rock is the perfect summer destination! There are so many events for the whole family to enjoy this warm season. Here are a few of the hottest upcoming events. Don’t miss out and RESERVE YOUR ROOM with us today! We look forward to seeing you and your family! 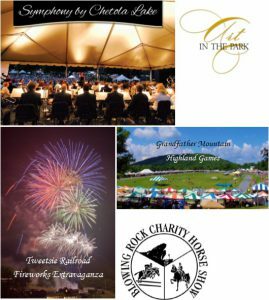 Symphony by the Lake– Friday, July 27th – Enjoy a grand music and great food by Lake Chetola, then end the night with fireworks. Cliff Dwellers is situated on a mountain bluff directly across lake Chetola. Don’t miss out on the best view in town for fireworks! Grandfather Mountain Highland Games– The 63rd Annual Grandfather Mountain Highland Games will be held July 12th – 15th at MacRae Meadows on Grandfather Mountain near Linville, NC. Bring the whole family! According to a recent Expedia Poll, Blowing Rock is among the 25 top small towns in the country. 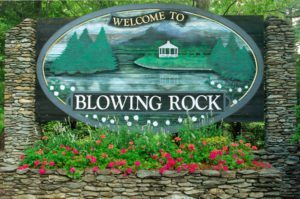 BLOWING ROCK – One thousand Americans selected and polled by travel booking web site Expedia have rated Blowing Rock one of the 25 best small towns in the country, ranking 16 out of 25 on a list that included Cape Cod, Lake Tahoe and Aspen. It outranked such well-known destinations as Key West, Branson, Missouri and Hershey, Pennsylvania. Tracy Brown, executive director of the Blowing Rock TDA, was pleased by the town’s honor. “We can boast about our town and region all day long, but when visitors do the talking, it’s real. Blowing Rock is an authentic destination with rich experiences, and we’re thrilled to be recognized in this way and alongside the other great towns across the country,” Brown said. For more information on Blowing Rock, go to blowingrock.com.